Supported by Muse Developments and Aberdeen City Council funding, Morgan Sindall commissioned the latest and most significant development designed to transform the centre of Aberdeen. 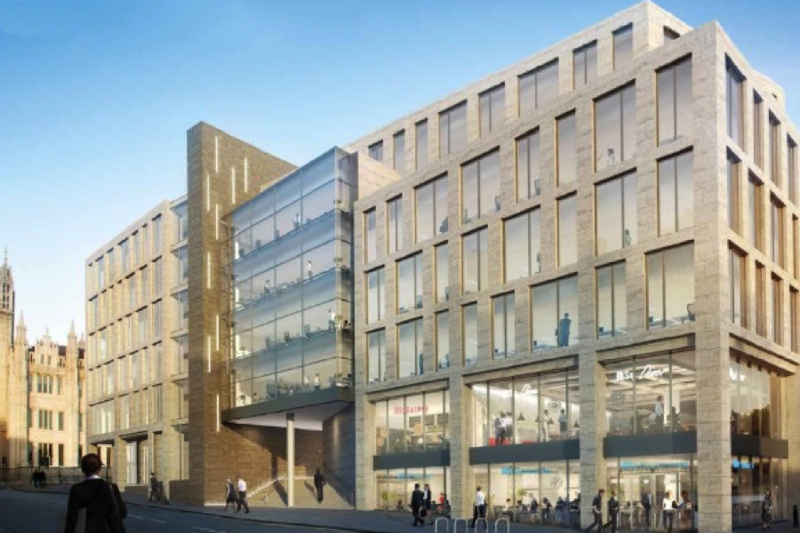 The development provides high quality office space, coffee shops, restaurants, a 4-star Residence Inn by Marriott and an accessible public space with the aim of creating a new central area in the heart of Aberdeen’s city centre. The structure consists of a reinforced concrete frame supported on pad foundations with post tensioned slabs to increase floor to ceiling heights and reduce foundation loading. Fairhurst involvement has been from inception to current and continued detailed costing, including hubco processes and statutory approvals. Fairhurst provided a comprehensive service on all aspects of the project from structural surveys through to final structural design, including geotechnical and environmental services. With all services provided in-house, the client received a coordinated and seamless Engineering service. Fairhurst were active participants in the collaborative working between Client, Contractor and the design team, to overcome a technically and logistically challenging site.